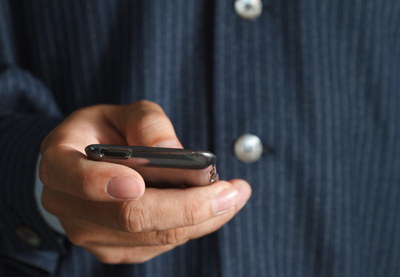 A new report by analyst firm Ovum[i] reveals that nearly three years after financial institutions were ordered to start recording and storing mobile calls, only around a third of those affected have managed to comply. Larger banks and those with operations in a number of jurisdictions appear to be struggling the most. The new rules were introduced in 2011 by the UK’s Financial Services Authority – now the Financial Conduct Authority – in response to the growing use of mobile devices in financial transactions. The delay in achieving compliance is particularly worrying now that the Dodd-Frank Wall Street Reform and Consumer Protection Act (Dodd-Frank) has also come into force. Any financial institution that trades in or with the US is required to record all voice communications that lead to the execution of a commodity interest transaction. Non-compliance is no longer an option. The Ovum paper reports that institutions have reported mixed results with existing technology. While app-based solutions, for example, have the benefit of being a quick-fix, network-agnostic option that can be managed easily by the IT department – they also introduce connection delays and in-call latency, reduce phone functionality and cannot work across different operating systems. Basically, the user experience is dismal. In addition, they are vulnerable to employee workarounds: you simply uninstall the app. An alternative and increasingly popular approach is to use a network based system that automatically triggers recording by the network. There is no need for internal management and no call delays. However, until very recently there were two disadvantages to network-based call recordings. The first was a lack of international roaming capability, particularly across CAMEL and non-CAMEL networks (such as in China). The second was that the service was only offered by mobile virtual network operator that piggybacked an MNO’s network. Both significantly inconvenienced customers because they had to agree and then manage multiple supplier arrangements. The situation is further complicated by the rise of BYOD (bring your own device), leading to an ever growing range of devices and operating systems being used for interactions. The market needs mobile operators with seamless international roaming agreements in place to offer their own in-network mobile call recording solution, regardless of the device or operating system used. The first such solution is now available, removing the administrative burden from the customer while still meeting all compliance commitments.